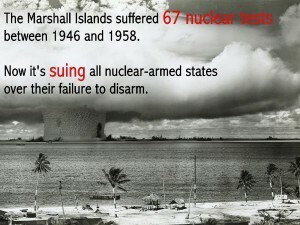 Marshall Islands International Challenge for Disarmament! These idyllic islands remain contaminated with radiation 60 years on from nuclear tests. Many inhabitants can’t return to their homes. But they’re fighting back. 1.Mourn all victims of violence. 2. Reject war as a solution. 3. Defend civil liberties. 4. Oppose all discrimination, anti-Islamic, anti-Semitic, anti-Hawaiian, etc. Your help is needed to prevent the Prison Industrial Complex from coming to Hawaii. Below is a copy of a letter I just sent o Hawaii State representatives who will be voting on SCR 120. Please send the representatives (email addresses below) a short note to say vote NO on SCR 120. No Prison Industrial Complex in Hawaii. Support Pu’uhonua as alternative to prison. Re: Please vote down SCR 120: Public-Private Partnerships to build prisons! Please don't pass SCR 120 SD2 public/private prison partnership. presently has a disproportionate number of Native Hawaiians in prison. best interest of Native Hawaiians and all Hawaii's people. The Hilo rain was a blessing for a great day to stand up for Aloha Aina. The parade crowd was huge — thousands lining the entire length of the parade route. Organizer Craig Neff and many others led the Aloha ‘Aina contingent of about 100 dressed in green color shirts, etc. in chants throughout the route “Aloha ‘Aina –HAWAII, Aloha ‘Aina POHAKULOA. Aloha ‘Aina Mauna Kea,” which echoed off the Hilo buildings. There were other chants as well. The signs and banners were low key and positive “Aloha ‘Aina,” but the message of standing for the sacred ‘aina against all forms of desecration was clear. There were old veteran activists and new generation activists. For me, it was great to see the smiles and shakas of support all along the parade route. This was a real local people event and the support for “Aloha ‘Aina” was very strong. Peoples faces lit up seeing the Aloha ‘Aina Banners and hearing the chants. Our contingent was number 54 of 150 plus units in the parade. Being in the parade you can’t get an overview so we will have to leave that for others who saw the entire parade to respond. But it was clear there were military units in the parade. A navy band was there, and soldiers in what appeared to be combat gear with helmets along with some humvees. Of the Aloha Aina contingent, the strongest presence was for Aloha ‘Aina Pohakuloa, and Aloha ‘Aina Mauna Kea. I wish there was a stronger presence for GMO-Free, Let Pele Be, and other Aloha ‘Aina issues but it was a good beginning of all Hawaii coming together in solidarity for Aloha ‘Aina. Next year –even mo better! 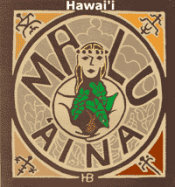 Malu ‘Aina was glad to be part of this effort. Below is an email from Bob Petricci of Puna Pono Alliance requesting testimony in support of SB 2663. Below his email is testimony I sent in. Please send in testimony and pass the word. Mahalo. bill would not be worthwhile.